Sometimes it’s too easy to get stuck in a rut, talking about things which reference the past. In those moments of retromania, it’s simple to forget how quickly ideas and tastes accelerate today when compared with say, 100, or even 50 years ago. I mean this culturally and sociologically. When sounds that were of a very particular taste from 20 or maybe 30 years ago, then disappear into silicone heaven following an untimely cultural death, become appropriated into a new context today, does it matter if we can’t remember what those sounds and feelings were the first time around? In this way, is it right to assume people of a certain age have no right to declare their disdain for recently deceased political figures, regardless of their own current gross economic situation? Nostalgia is not an accurate reason for a love or hate relationship with particular sounds and aesthetics. What it says about today, and tomorrow is important. What it said yesterday may go some way in telling us where it came from, but not why that matters now. By developing a new language of their own for the future, these precognitive dreamers are shaping a musical landscape that owes nothing to the past but its own optimistic design of the future. 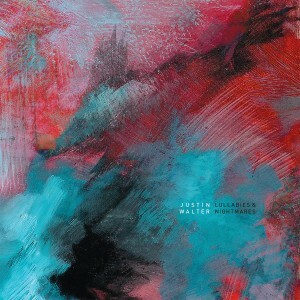 Justin Walter is a scientist of sorts. His new album ‘Lullabies and nightmares’ stretches the sound of this instrument, to the most beautiful conclusions. Experiments in sound that have been dissected into ambient fragments and soldered back together again. JUSTIN WALTER 03.08.12 from Matthew T. Sanchez on Vimeo.